Walls in different cultural environments have different meaning. While this differs only gradually in western culture, in Chinese culture, they often have a very different meaning. Walls and the gates as the crossing points have a long tradition that dates back to the ancient empire. This cultural heritage has been used and adapted over the course of time, adding layer over layer and become integral part of both Chinese tradition and the contemporary Chinese city. APPENZELLER, Маrkus. 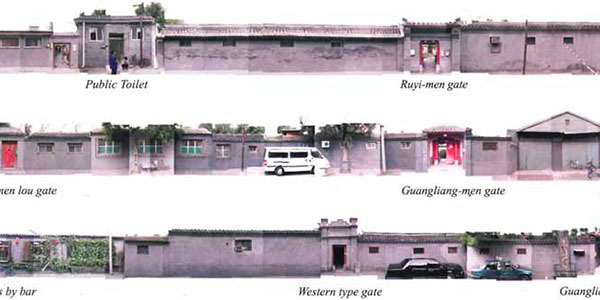 The Third Condition: the meaning of walls and gates in China. project baikal, Russian Federation, n. 36, p. 96-103, may 2013. ISSN 2309-3072. Available at: <http://www.projectbaikal.com/index.php/pb/article/view/138>. Date accessed: 18 apr. 2019. doi: https://doi.org/10.7480/projectbaikal.36.138.